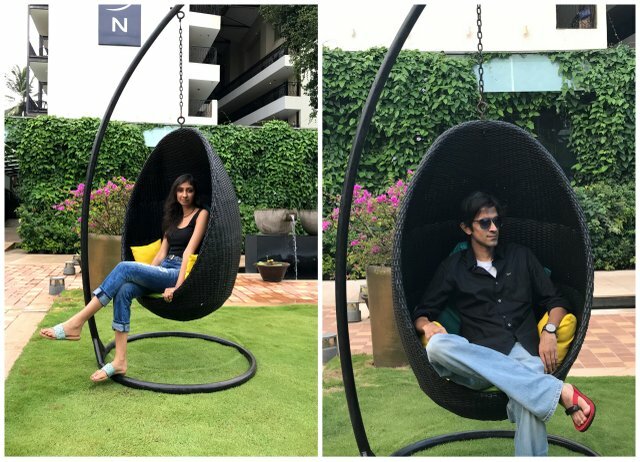 As you know me and Kalyan recently visited Goa and stayed at Novotel Goa Resort and Spa at Candolim and had the most amazing time ever! 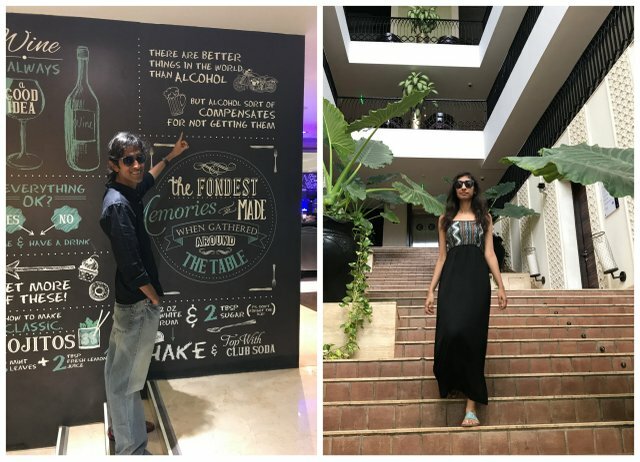 It all started in May this year when we decided to go to Goa in June to celebrate my 30th birthday. We booked our flight tickets and were just deciding on our stay options when, I got to know that I had to travel to AbuDhabi during the exact same time to cover the VIVO SIIMA event. Our Goa trip got postponed to July – which also didn’t happen due to certain other commitments. We had to re-book our flight tickets to August and re-schedule everything according to the new dates. The folks at Novotel were super patient throughout our discussions and all the back-and-forth on the dates. I don’t say it enough but it is indeed such a blessing that I get to travel as part of my job! And I’ll forever be grateful for it! Now, let’s dive into why you absolutely MUST stay at this property when you visit Goa. The property has really cool, interesting architecture providing multiple photo-ops for you to get your holiday’s worth of pictures. I know I utilised the heck out of it! The pool is well maintained, has it’s own pool bar called the Sunken Bar (sign me up right now!). They have a shop in the hotel itself where you can buy swimwear (nothing fancy though), in case you’ve forgotten to pack one. The pool has an adjoining garden restaurant called the Herb garden. 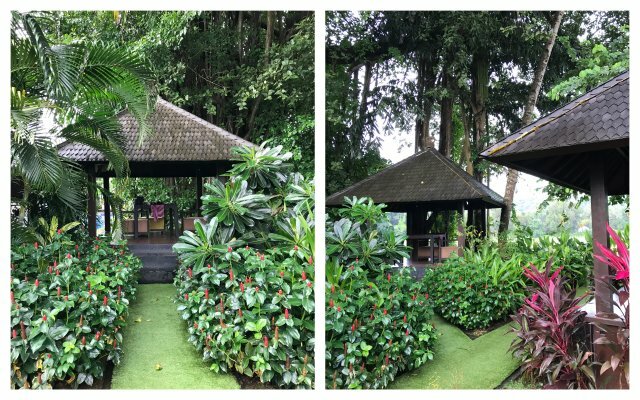 Nestled in between trees and plants and bushes (and unfortunately also insects if you are visiting during the monsoons), you have tables and chairs set for you to enjoy some privacy and nature. 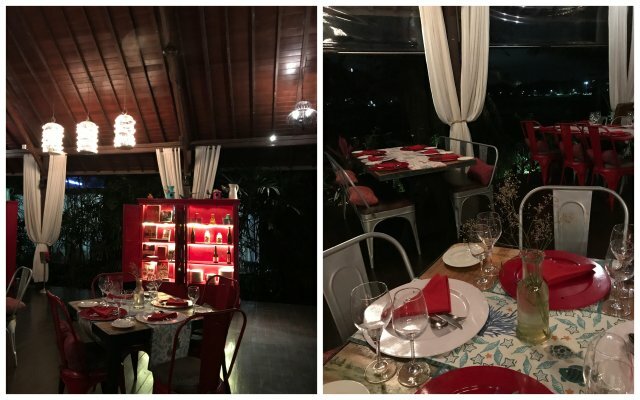 Next to the Herb garden is their newly launched restart and bistro bar – Vero Cibo, which specialises in Mediterranean and European cuisines. To lend a Mediterranean vibe, the design elements include cabana seating, bird cages, yellow lighting, white drapes and candle lit chandeliers. While this caters more to non-vegetarians, their signature Vero Cibo dip with bread sticks is simply to die for! It also offers a very unique view of a Goan village. Food exceeded all my expectations! I’ve always found that places like these excel only in certain types of cuisines. But from fast food to Indian to Italian, they excelled in everything. Whether it was a salad that I ordered or a veggie burger, everything was delicious. I was most excited for breakfast, but found very few options in veg. Although the ones that I did have did not disappoint in taste at all. After three days of going all around Goa and partying hard, we really didn’t feel like stepping out of the hotel. We were just walking around the property wondering what we could do when we came across their gaming corner. We surprised ourselves by indulging in a game of table tennis, foosball and caroms. Yes, perfectly mundane normal things. But as a couple we had NEVER done something like this together. It was quite nice that they had a few indoor games and also a pretty decent basketball court for those who wanted to have some fun. Overall, the resort gave off a very friendly ‘family’ vibe. I didn’t get a chance to do this, since every bike was almost always with someone. But I do love that cycling was included as part of the activities. 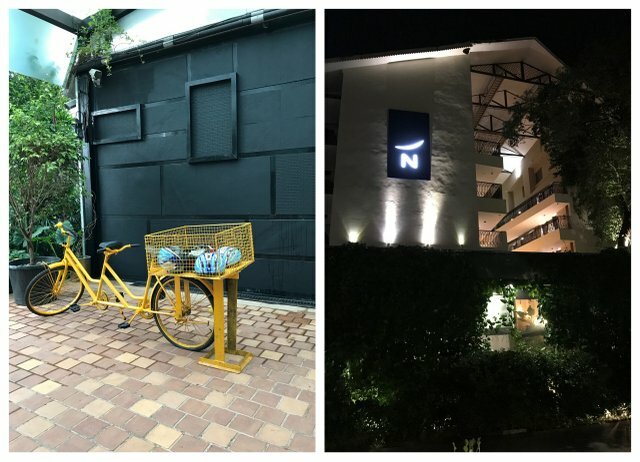 Novotel has been trying to put itself out there as a ‘one size fits all’ property. Be it for business or pleasure, traveling as a couple of a family with kids, they have you covered. The kids corner looked quite inviting (even to us 30 year olds) what with a fun jungle gym and trampoline (never too old for that!) and lots of fun games! 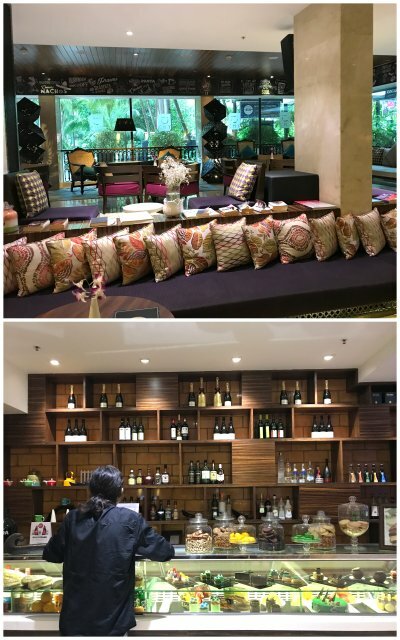 Their in-house cafe – Chy, has a cozy vibe, plenty of books to read, and a choice selection of desserts and drinks to keep you company. They have bean bags strewn around low tables which are actually play stations for you indulge in some games. Essentially making sure you don’t need to move out of this place, until closing time. We stayed in the Junior Suite and every minute from the moment we entered till we left was nothing short of fabulous. There wasn’t much crowd although every room was occupied (even in off-season). If you want to see more of what we got up to, and a room tour check out the vlog at the end of the post! 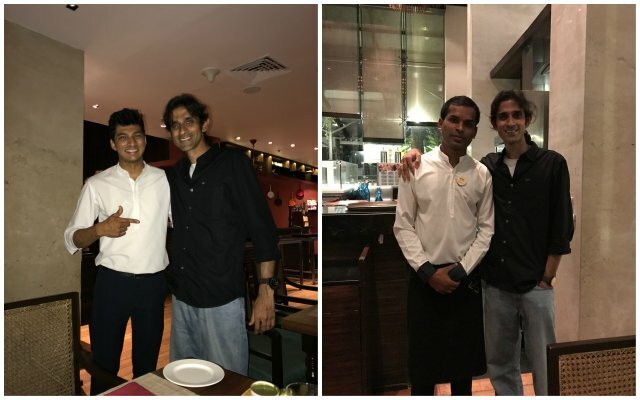 Thanks to Rohit and Sagar who were our servers/hosts for first and second day respectively. Their attitude & personality was so great and we had a wonderful time chatting with them as we spent our time at the property. Sagar who we met on the second was from Hyderabad, and thrilled would be an understatement to describe how he reacted when he realised we were from Hyderabad too. I wish I had that moment recorded on video! Kalyan being his typical self, got to know his entire life story in a matter of minutes and obviously, had to get one picture clicked together. Sagar went out of his way to make us feel special and comfortable. Despite our objections, he went on to get us food & drinks on the house and made our last night at the property one of the most memorable ones! Made sure that we still talk about it! The very first time I 'gifted' this blog to the Mister, he had one look at it and said 'Why don't we make this about our life's journey'? For those of you who don't know much about us, we met in 2015 (it's a brilliant story which we shall save for a later time) and after a lot of ups and downs and roller coaster rides, we are finally married and living together and enjoying every moment of it. We first used this space to write posts about us, our story and all the special moments we shared together (self obsessed much?!). Most of them were addressed to each other, so it sort of turned into this personal space where we could surprise each other by writing letters/posts to each other. But we wanted to create something bigger, personal yet something that can be shared with everyone else as well. So here we are, 2 years (and 3 months) since we met, 2 years since this blog was created, and 6 months since we got married! This is going to turn into a space where we share about our lives, little anecdotes, our travels, random adventures and a whole lot of other things. If you have been following our instagram handle, that should give you an idea! June 2nd was the mister's birthday and June 3rd was our 6 month wedding anniversary. Since we only need the teeniest excuse to jump at the chance of going on a vacation, this was a bumper bonanza for us. 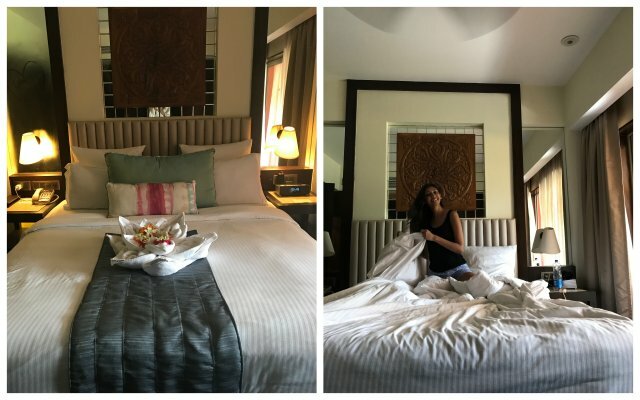 After much research on all the resorts and hotels in Hyderabad, we picked Daspalla, Hyderabad for a weekend STAYCATION. Here are some of the things we loved! 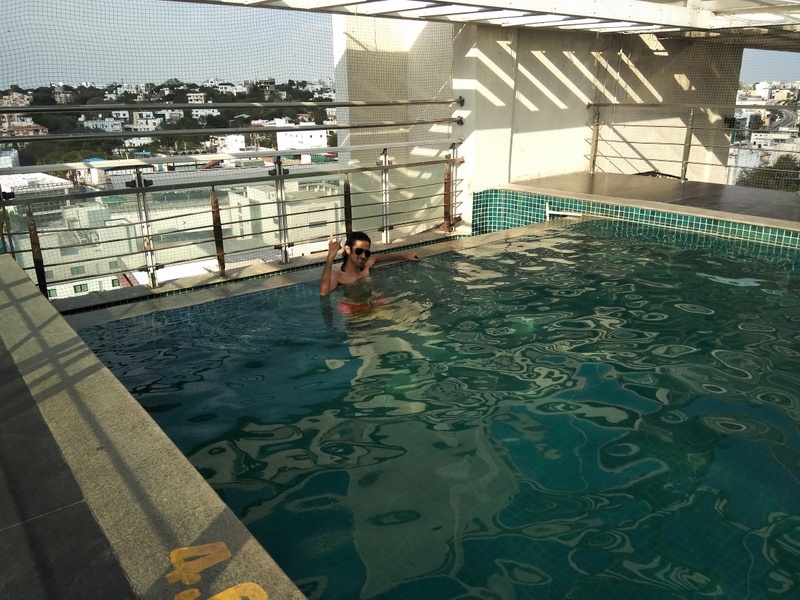 One of the main reasons for us to pick this place was the roof top pool. And it did not disappoint. Situated on the 8th floor of the hotel, the pool is away from all prying eyes and is very secluded. It offers a view of the entire city. Even on a busy weekend, there was no crowd and it really felt like our very own private pool. The only downside is that there is a lot of noise from the exhaust fans of the hotel which are also situated on the roof top. But once you dive into the water, I hardly doubt you would notice that! We all know this is the first second thing (first is the bathroom!) that we check in a hotel. Compared to a lot of other places that we have stayed at, this one had excellent wifi. Always appreciated! 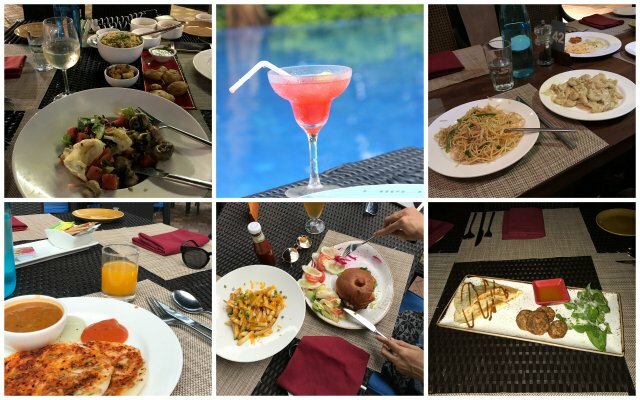 This was definitely a staycation that we thoroughly enjoyed! Keep a watch for more new posts! In February we were invited by Orange County Resorts in Hampi to experience their property and all that it had to offer. Here's a VLOG about our entire stay and everything that we managed to explore during our time there!